Bomb the buildings below before you crash into them. 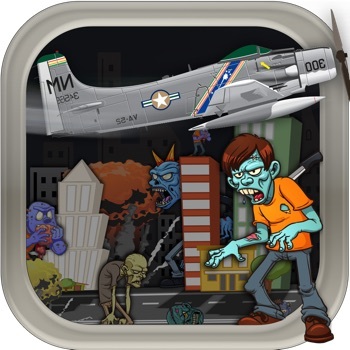 Tap the screen to drop a bomb on the zombie infected town, but use them wisely or you’ll have to wait to reload. Don't hit the good buildings! Test your aim! See if you have what it takes to get the job done! Features: * Great for Kids or Adults * Amazing graphics * Universal app supports iPhone / iPad / iPod Touch * Addictive Gaming Download right now!